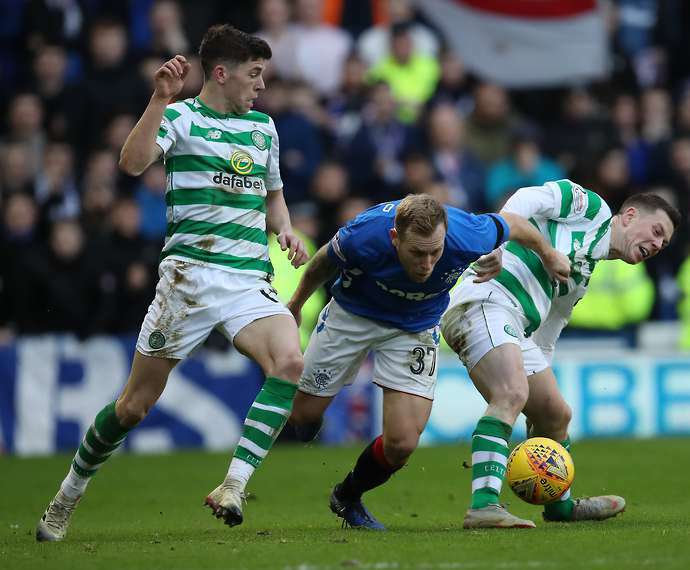 Ibrox Noise: Should Rangers sell Scott Arfield? Should Rangers sell Scott Arfield? With today’s breaking news that Southampton seek the services of one of Ibrox Noise’s favourite outfield players Scott Arfield, we have to consider the situation seriously. Arfield is the wrong side of 30 now, and as outstanding as he’s been this season, if a worthwhile bid comes in for a player of his age it would be a brilliant profit on what was a free. But would we want to lose our midfield leader? The player who makes the engine room tick? It shows the quality of his performances and the esteem he remains held in by England’s top flight that a 30-year old Rangers midfielder is coveted by a solid side who are probably just about safe from relegation, and we’d expect any bid to be above £4M to be taken seriously. We’ve been looking at the fan response to Arfield closely this season – we praised him recently after his stellar show at Motherwell and were intrigued by the criticism many fans have of him. One commented that he just didn’t stand out enough to warrant the praise, or a POTY nomination. Which suggests to us many fans misunderstand his role in the team in the first place. Nevertheless, Southampton and people who know football can see it, and if a top-flight side in the EPL is interested, others will too. We rate Arfield highly, as one of our finest players, but money talks and everyone has a price. If Ralph and co. bid high enough, we’d admit he’s vulnerable to the sale. But are Rangers in a position we can afford to sell a player of that stature? Having heard various rumours on both Arfield and Tavernier I know which one I would sell it would be Tav I reckon he will bring in 6/7 Million . I think Arfield would possibly make 5 however his experience and goals are worth more than that. I can see Southampton trying to put Steven Davis in that deal but I think we can get him anyway if we choose . Hopefully Mark Allen and Steven Gerrard will have a full portfolio of players they want . Let's wait and see what the close season brings it'll be quick and decisive hopefully cause the Europa thing starts pretty soon !!!! You guys are great on stats. What were our stats when both Jack and Arfield played together. Both had injuries and suspensions. We were at best when both played. We need him for next year. Only if we get so much money we can't turn it down. Say Ryan Kent money. He can sign a 2 year contract, then come home again. We won't have any choice ,as you say he's the wrong side of 30 ..If Southampton or similar come in with a 2/3 years offer at Double his current wage he would be mad not to move on !! He's had a year at his boyhood club (box ticked) ,done well and if he moves he deserves both the financial gain and the applause of everyone involved wotw Rangers . No way do we sell him he has been one of our best players all season. Celtic are starting to panic I smell fear in them beggers from the east end. Another helicopter Sunday is on the horizon people. Because WATP. Not only would I sell him I dont know what fans see in him. Attacking midfield is where we really struggle and its because of him imo. Wont be a popular opinion I know but he actually doesn't have a lot of composure in the box and his consistency is poor. He can be a world beater then dissapears for 3 weeks. We need someone with more pace and the ability to go past players. Hes too flat for me. Nothing more than a tidy player imo. Sometimes players contributions can go unnoticed but we drew too many blanks this season and its lack of flair in that area imo.